APRA presenters Nigel Boik and Leanne Lappin will introduce regulatory developments surrounding recovery and resolution as pertinent to our sector. This is a topic of high importance to APRA in 2019, and the presentation will provide advance insights and the opportunity for questions and answers with attendees. This subject complements recent attention towards stress testing, and ICAAP enhancement. How does your organisation plan for recovery in times of stress to restore itself to a sound financial condition? What plan is in place for resolution should an entity be beyond recovery? Please join us for a light lunch on February 28 at the Royal Automobile Club in Sydney to hear more about this important subject. 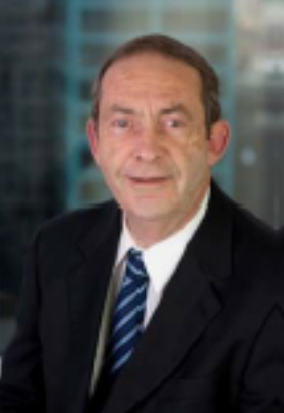 Nigel commenced with APRA in 2002 as the Head of General Insurance, Industry Technical Services, transferring in 2006 to frontline supervision in the Diversified Institutions Division with a portfolio of general insurers, life reinsurers and smaller ADIs. In November 2010, he was promoted in to the position of General Manager, Specialised Institutions Division, with management responsibility for the Central Region. He has recently moved back to the Diversified Institutions Division with a portfolio of complex General Insurers, Direct Insurers and Reinsurers. Prior to APRA, Nigel was employed as a reinsurance broker with Marsh Re as a Senior Vice President, Facultative Reinsurance Broking. Earlier industry experience included the role of QBE National Property Underwriter with prior experience including underwriting and claims experience across all the other major classes of general insurance. Nigel holds a Bachelor of Commerce majoring in Management, HR Management and Marketing and is a Fellow and CIP of the Australia and New Zealand Institute of Insurance and Finance. Leanne commenced with APRA in 2016 as a frontline supervisor in the Diversified Institutions Division, before transferring to her current role as Advisor in Resolution & Enforcement. Leanne leads the work on APRA’s strategic initiative on recovery planning across the ADI and insurance industries. She is APRA’s representative on the Resolution Working Group for the International Association of Insurance Supervisors (IAIS), responsible for developing policy on recovery and resolution planning. Prior to joining APRA, Leanne worked on recovery and resolution planning for Barclays Banking Group in London. Earlier industry experience included roles with National Australia Banking Group and Bank of Ireland. Leanne is the Vice-Chair of APRA’s gender diversity network, supporting initiatives to progress women in the workplace. Leanne holds a Bachelor of Economics (First Class Honours) from the University of Nottingham. Registration is from 12.00pm for a 12.30pm start and lunch will conclude by approximately 2pm.